Home > Resources > Lesson Plans > Would Cromwell have approved of the way in which his image was presented after his death? Would Cromwell have approved of the way in which his image was presented after his death? This is the first lesson of a two-part enquiry, ideally taught in two stages separated by work on the Interregnum, dealing with Cromwell’s actions and the various attempts to establish an effective political system. The enquiry begins by examining the way in which Charles I quite deliberately sought to present himself, though his trial and execution, not merely as the rightful king but as a martyr and asks how effective this portrayal was. The second part contrasts Charles’s tightly managed presentation of his reputation with the more much more ambiguous images of Cromwell that circulated after the latter’s death, asking why his reputation proved so much harder to defend. This enquiry is directly linked to the film ‘Oliver Cromwell: King in All But Name‘ in which Paulina Kewes and John West discuss the extent to which Cromwell’s contemporaries grew to consider Protectorship as little more than a new form of regal authority. It is also closely related to the film ‘The Regicide‘ in which Andrew McRae puts forward the claim that it was the battle over how Charles I’s death should be seen – either as the just death of a traitor or as the martyrdom of king – that made the eventual restoration of his son ‘not only thinkable, but to some degree inevitable’. This enquiry has been developed for students in Key Stage 3. Strong support is provided in interpreting the visual sources so that students can appreciate the very deliberate construction of the message conveyed by Eikon Basilike and of the difficulties in defending Cromwell’s much more ambiguous position. Because of the focus of the enquiry on Charles and Cromwell’s subsequent reputations, there is scope to use it to develop students’ understanding of historical interpretations, perhaps going on to explore how the reputations of each figure changed over time (and what relationship those interpretations bear to the images in circulation at the time.) This might make it a useful Key Stage 3 enquiry for developing students’ understanding of how and why historical interpretations differ. The enquiry can, however, be readily adapted to GCSE for use within the AQA thematic study (Britain, power and the people 1170-present) or the OCR thematic studies (‘Power, democracy and monarchy c.1000-2014’). The images used in the enquiry and discussed in the two films provide powerful examples related to the role of ‘communication’ as a factor affecting political development (AQA) and to the ‘methods of maintaining power’ (OCR), including ‘propaganda, control of information and the role of specific ideas’. A copy of the satirical portrait of Cromwell from the engraving ‘Kroonzugtig-Voorspook’ by Van den Engelshen Geweldenaer (1653). A set of cards identifying and explaining key features in ‘The Emblem of England’s Distraction’ (1658) to help students decode its meaning. Although this lesson is directly linked to the preceding one examining how Charles’ reputation was defended after his death, it is suggested that you come back to it after any other lessons that you plan to teach on the Republic itself. If you are not planning to look in any detail at Cromwell or at the struggle for a political settlement, then the information cards from the last lesson (provided for students to use in evaluating Charles’ success) could be used as a direct link, since cards P, Q and S give a summary of the difficulties in finding an acceptable form of government, the offer of the crown to Cromwell and his refusal of it. If you have taught any intervening lessons, you might want to introduce this lesson by reminding students about the previous question asking how successful Charles I was in defending his posthumous reputation and explain that you are now going to compare his reputation with that of Cromwell in the years after his death to determine who had most success in promoting a positive image and why. For the second image translations of some Latin phrases and interpretations of the different elements have been provided (as was the case with Eikon Basilike) but you can obviously decide for yourself whether to give time to such detailed analysis and how much help your students would need in identifying the different elements and decoding their message. A detailed account of the ‘The Emblem of England’s Distraction’ can be found on the website of British Printed Images to 1700. Rather than giving your students cards to match to the image, you might want some or all of them to work directly from the information on the website to annotate a copy of the image. 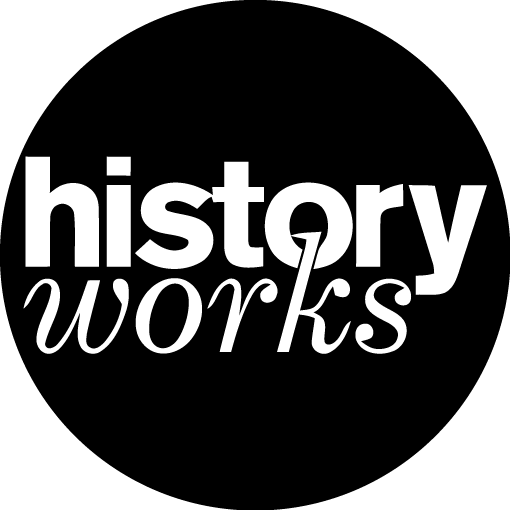 While an online database of this kind can help to familiarise students to the way in which collections of materials are assembled by historians and archivists – collections that both reflect the detailed research needed to locate and identify relevant materials and that make them available as tools to support other historians’ research. How is Cromwell presented in this image? How has this impression been created? How does the image and its message compare with your expectations of what Cromwell would have wanted? Why do you think Cromwell’s supporters chose to promote this particular image of him after his death? To support the students’ consideration of the fourth question, you might give them the following reminders, or ask them to use each of the following points of information in developing their answer to the question. Cromwell believed that executing the King had been the right thing to do. God approved of the execution because Charles had betrayed his people. Cromwell had expected that the country could be government by godly men in parliament. It was very difficult to find an acceptable form of government that satisfied the Army and the members of the parliament (the Rump) that had agreed to the execution of the King. Several different parliaments were called and dismissed and for a while the Republic was ruled by Cromwell and a group of army commanders (the Major-Generals). An early draft of the Instrument of Government, drawn up in 1653, included a proposal for Cromwell to become King. Cromwell rejected this idea and made sure that it was not included in the final draft. The Humble Petition and Advice of 1657 invited Cromwell to accept the title of King. If he had accepted his son would have had the automatic right (the hereditary right) to succeed him. Cromwell took three months to decide whether or not to accept the invitation to become King, but in the end he refused. Although Cromwell refused to become King, he did accept the right to be able to choose who should succeed him. An alternative approach, after sharing students’ own initial responses to each of the questions would be to play a further extract from the film Oliver Cromwell’ – up to the point where West explains that there was a lot of confusion about Richard’s succession’ (up to 10 minutes) – and ask how far West’s views confirm the students’ assumptions about whether Cromwell himself would have approved of the image and why the Republicans might have chosen to present him like this in death. The objective here is to try to help students to understand why Cromwell’s supporters should have promoted an image that Cromwell had himself explicitly rejected – to help them to understand the difficulties of establishing an alternative kind of political system – that the idea of hereditary succession retained a powerful hold and was thought to be an effective way of maintaining stability – even after the King had been put on trial and executed. If Oliver Cromwell was recognised as a King, the rule of his son, Richard, became much more acceptable. At this point, you can introduce a first stage comparison between Charles and Cromwell. You might introduce an element of humour here: how would their respective ghosts have reacted to the frontispiece of Eikon Basilike and to the image of ‘The Lord Protector lying in state at Somerset House’? Or you might revisit the rating scale that you used in Lesson 1 and ask for a rating out of 10 for Cromwell’s success in promoting his reputation as reflected in the image of him lying in state.You can then extend the time-scale, reminding students that to make a fair comparison they need to track the images of Cromwell that were being circulated in the years after his death. If you used information cards T and S from the lesson exploring Charles I’s reputation, then students will already be aware that Richard Cromwell soon resigned and that in the chaos that threatened to follow, Charles Stuart was invited to return to the throne. If not, you will need to provide this information before explaining what happened not just to Cromwell’s image – but to his actual body – following the Restoration. Here you might use another extract from the film ‘Oliver Cromwell, King in All but Name’ (from 12.48 minutes onwards) in which John West recounts what happened to Cromwell on 30 January 1661 or you might prefer to tell the story in dramatic fashion yourself.Focus on the image in the film of Cromwell’s head displayed on a spike, along with those of the other regicides (at 13.50 minutes). What rating out of 10 would this receive?You could conclude with a written task asking students to explain why Charles I was so much more successful than Oliver Cromwell in defending his posthumous reputations? An alternative would be to ask students to devise their own interview – in a similar style to the film ‘Oliver Cromwell, King in All but Name’ asking and answering a short series of questions in the role of experts explaining why one was so much more successful than the other. Instead of ending with Cromwell’s head on the spike, you might ask students to speculate as to whether they think Cromwell’s reputation then remained at the very low rating they had given to that image. What could possibly happen that might begin to restore his reputation? How long do they think it might be before his reputation revives? This could lead you directly into a study of the Restoration and the Revolution of 1688: although many members of Parliament do again lose faith in the sons of Charles I, they are not prepared to consider another alternative to monarchy! Or you might choose to track Cromwell’s reputation further – on a much longer time-scale. The Cromwell Association website provides a fascinating online exhibition of images of Cromwell over time so students can track when his reputation revives and how he is remembered in different contexts. The very fact that there is an Association whose whole purpose is ‘to advance the education of the public in … the life and legacy of Oliver Cromwell (1599-1658), politician, soldier and statesman’ is worth highlighting for students in itself, in terms of what it suggests about his reputation today! You could thus extend this comparative study of the posthumous reputations of both Charles and Cromwell into a fully developed study of how historical interpretations change over time. As noted in the details for Lesson 1, Christine Counsell has outlined a short scheme of work examining two particular subsequent interpretations, C.V. Wedgwood’s The Trial of Charles I, (published in 1964) and the 1970 film ‘Cromwell’ written and directed by Ken Hughes. In Teaching History Matthew Bradshaw shares a simple idea for graphing Cromwell’s rising and falling reputation over time by altering the height of the plinth for his statue.